Many snake species kill the prey, which may be a mouse, a rat or other small animal, by wrapping their bodies around it. 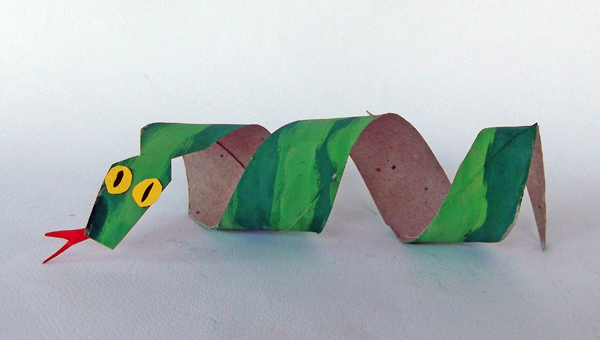 Luckily, the following snake is made of paper and therefore it is completely harmless. One or more toilet paper rolls. 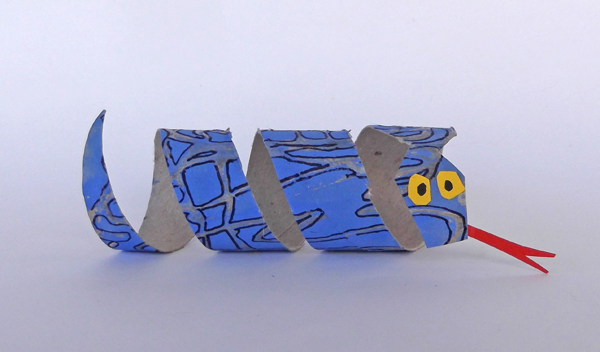 For one snake you need one roll. 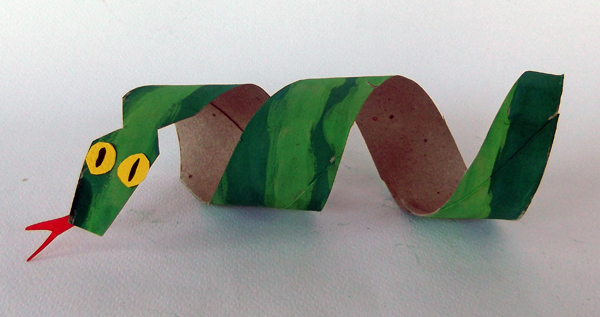 Watercolor paints to paint the snake's body. 1. 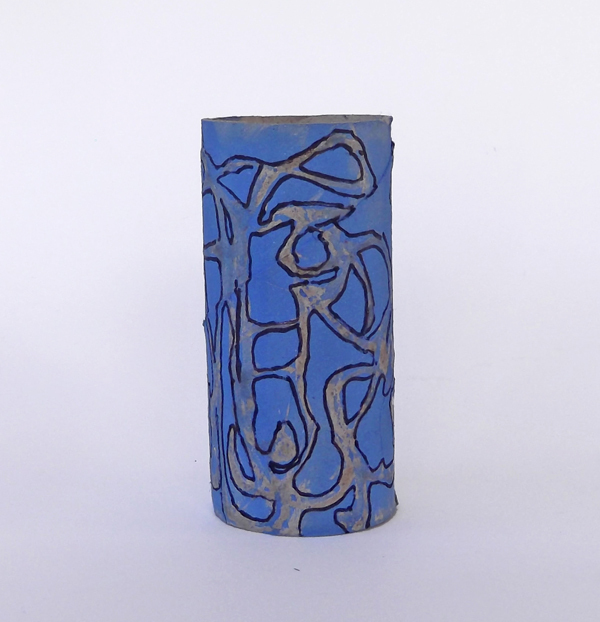 Use the watercolors and a brush to paint the outside of the roll. Try to make a multicolor surface by applying two or three colors. 2. 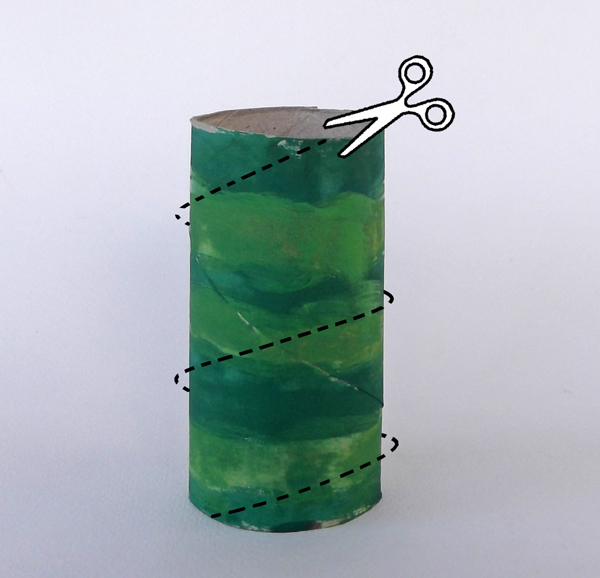 With scissors, make a continuous slit around the roll, starting from the top edge and ending to the bottom edge. 3. 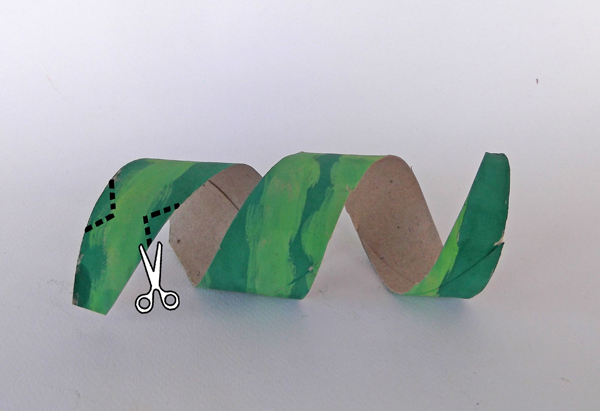 When finish cutting, the roll will be a coiled strip. 4. 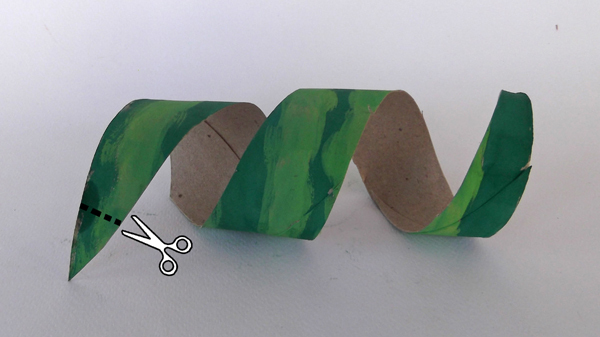 With scissor, trim the pointed edge of the strip. 5. Cut two triangles, one opposite the other, to shape the neck of the snake. 6. 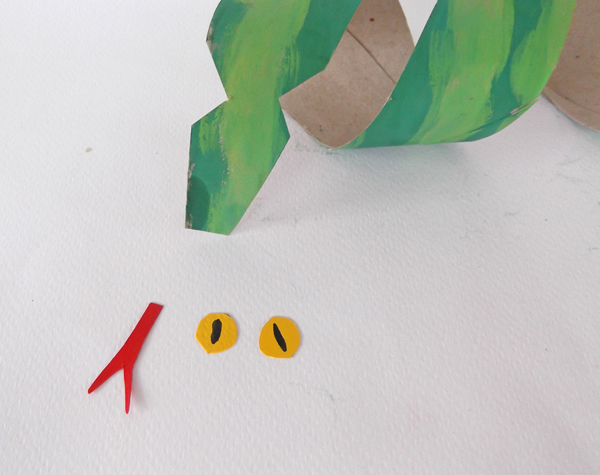 Cut out of colored paper a snake's tongue and two eyes. 7. 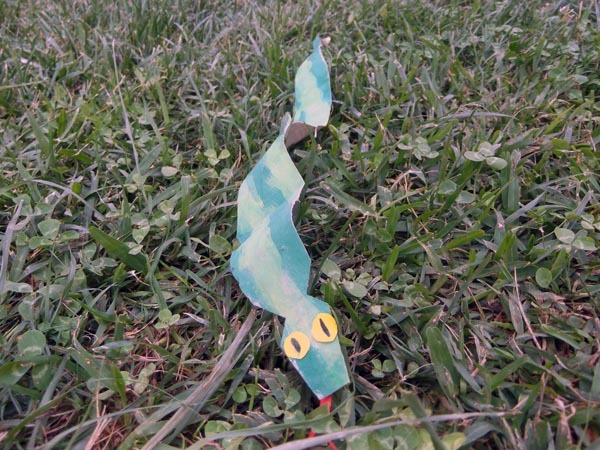 Glue the eyes and the tongue onto the snake's face. The snake is ready. You can keep it coiled or uncurl it. Experiment with the appearance of the snake's skin! 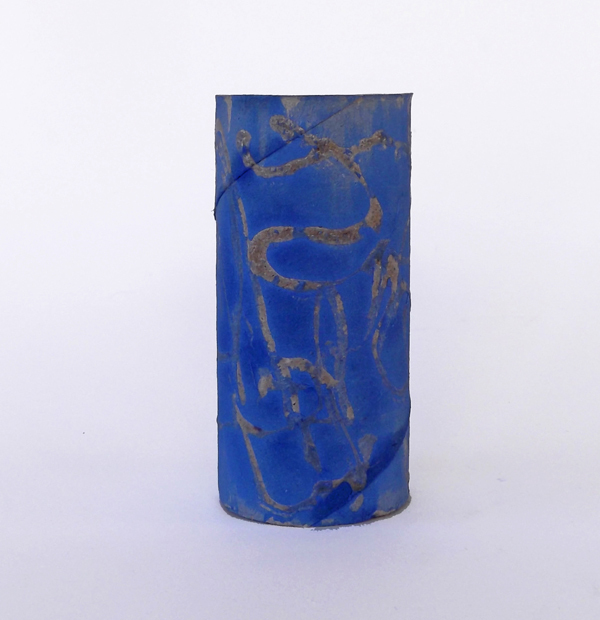 Snake's skin is a great example of the variety of shapes and colors found in nature. Search the Internet for snake skin photos to draw inspiration for your own project. Pick some vivid colors and draw on the outer surface of the roll several shapes, like curved stripes, dots, geometric patterns, etc. 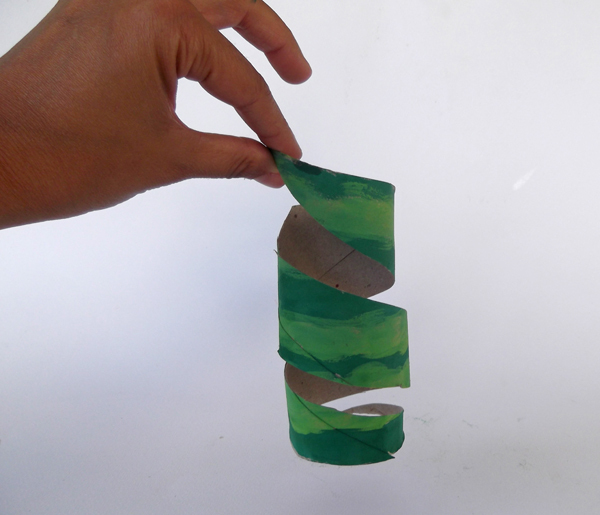 Play with the liquid glue to create abstract shapes! 1. 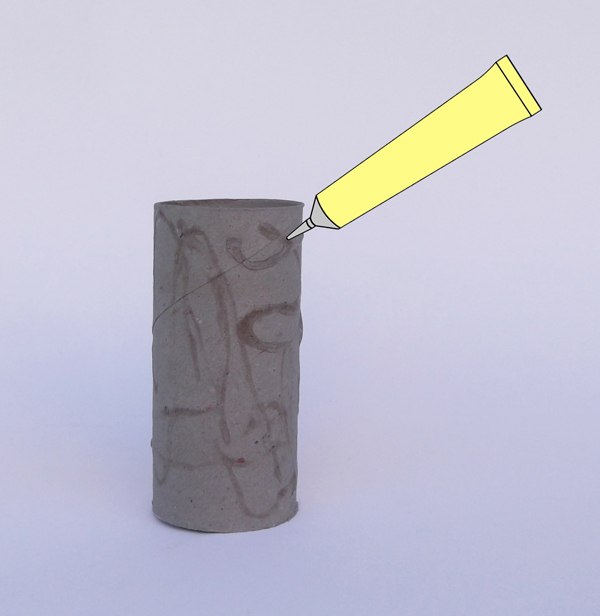 Make curved, random lines with liquid glue over the outer surface of the roll. 2. 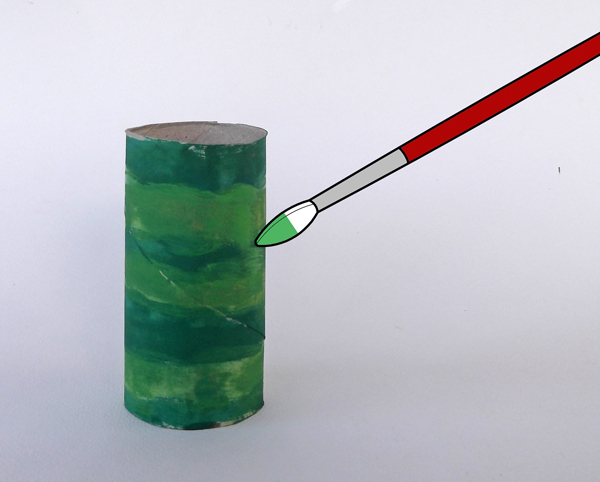 Let the glue dry well and paint with watercolors the outer of the roll. The glued lines will remain transparent. 3. 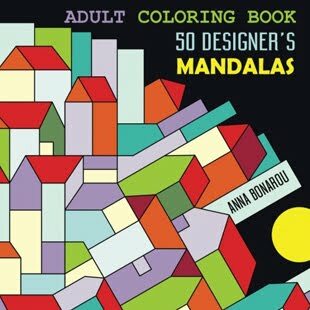 Draw along the glued lines with a black marker to highlight the random shapes. 4. Do you think that this texture represents successfully the scaled skin of a snake?